Chisel hammer is the term used by Paul Sellers to describe the hammer that he recommends for use in striking the end of the chisel handle and assembling joinery. It can be made from nylon, steel or brass. The type Paul Sellers recommends is sold as a ‘nylon hammer’, ‘assembly hammer’ or even a ‘soft-faced hammer’. You can buy them in weights and sizes that better suit your particular hand size and or physical strength, arm length and so on. The chisel hammer is used to strike the end of the chisel handle to chop and cut wood. It is also used in assembling joinery when building furniture and other woodworking crafts. The nylon faces are less damaging to the wood when used directly on the wood than their steel counterparts would be. 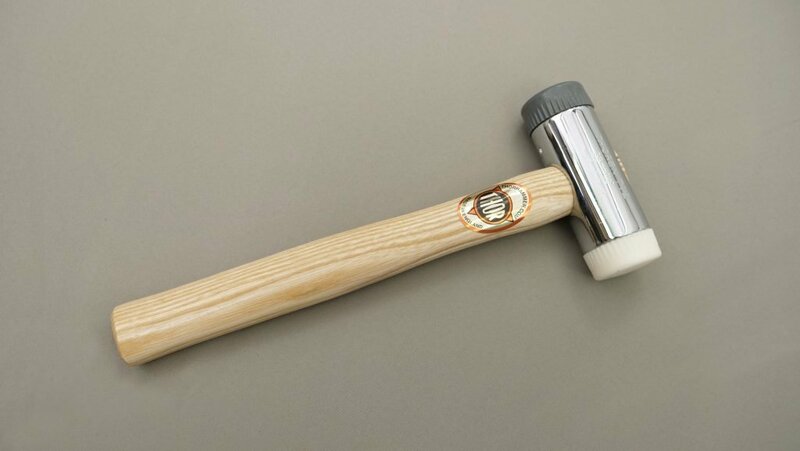 In general this type of hammer is now often used as a replacement for the traditional wooden mallet though wooden mallets are still popular. To read more about using a chisel hammer, click here. 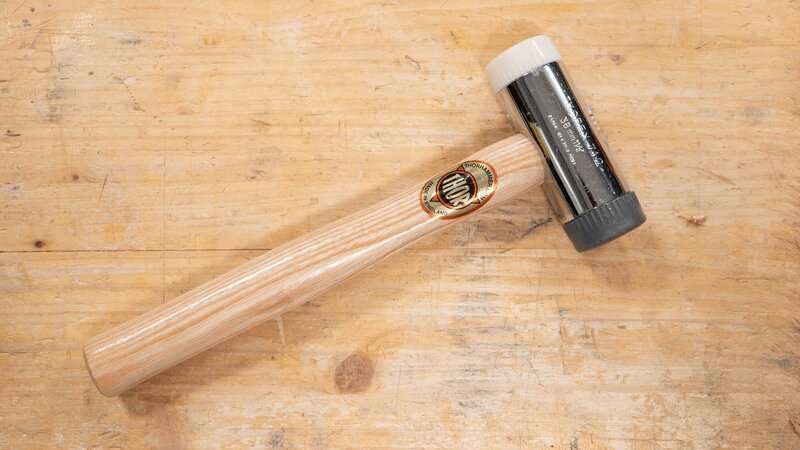 Claw hammer- A hammer with a split claw-like hook at one end to help lever nails out of wood. Face- The round surface(s) on the end of the hammer head. 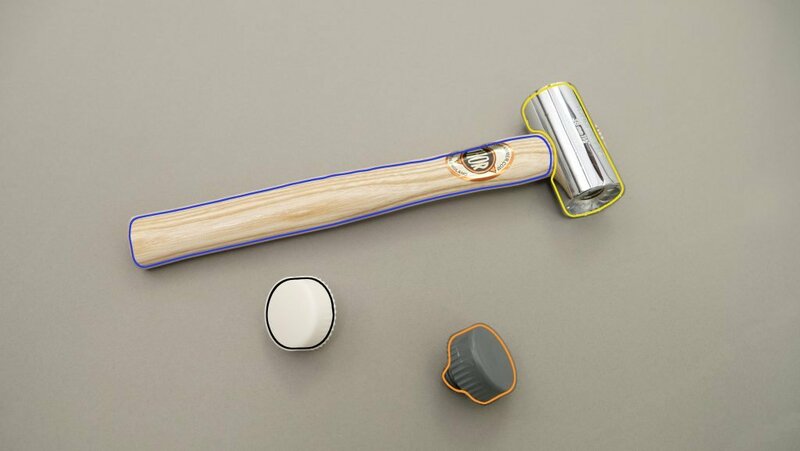 Whereas you can use steel claw hammers to strike chisels, the chisel handles must be split resistant plastic. You can also use wooden mallets, however, Paul Sellers recommends a chisel hammer as it has a smaller head so you are more likely to hit more precisely on the ‘centre of percussion’ (COP) which is where you will get the most effective strike. As the head of a traditional wooden mallet is large, you have less chance of hitting the COP.